Latham grain grower Dylan Hirsch sees great potential for the new high-yielding, acid soil tolerant Buff barley to significantly boost gross margins within his deeply acidic, poorer performing, wodjil soil types. Officially released at the Liebe Group’s recent spring field day, Buff is InterGrain’s first commercially-available white aleurone, acid soil tolerant barley variety. This marks a significant breakthrough in barley breeding. Buff, formerly known as IGB1506, has been extensively trialled within InterGrain’s breeding program over the last 6 years and has been present in National Variety Trials (NVT) for the past two years. The variety has consistently demonstrated a yield advantage over Litmus in acidic environments, where pH is below 5.5 (CaCl2) and significant yield advantage in neutral soil types. Mr Hirsch, who crops 6000 hectares with his partner Kirraly and parents Brad and Joanne, is trialling Buff on 15 hectares this year and is so far impressed with its performance. “We have sown it on our worst performing paddock, with a topsoil pH of 4.8 (CaCl2), subsoil pH of 4 and significant aluminium toxicity, and it is standing up to the challenging conditions,” he says. Like many of Western Australia’s central and northern grainbelt growers, widespread topsoil and subsoil acidity across sandplain and gravel country is the Hirsch family’s biggest yield-limiting factor for barley production and affects parts of almost every paddock. These areas can have topsoil pH levels between 4 and 5 and subsoil pH at 4 (CaCl2) or lower, which reduce rooting depths and subsequently yields by about 0.5-1.5t/ha. 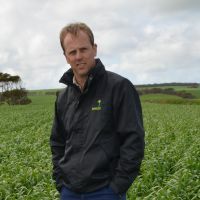 “Finding the ‘best fit’ cereals that can perform well in these conditions would be a major breakthrough for us and I can see a lot of potential for Buff to fill this gap,” Mr Hirsch says. He is also excited that Buff has been accepted into Barley Australia’s (BA) malt accreditation program. “If it can be classified as a malt variety, there is potential for Buff to produce higher gross margins than wheat on our acidic soils,” he says. 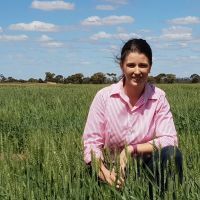 “That would be a very good incentive to grow more of this variety as part of our 1500ha annual barley program, which makes up about 25 per cent of the farm’s total cropped area each year – in rotation with wheat and canola. 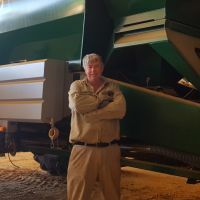 InterGrain Barley Breeder David Moody said, “Buff is derived from a complex breeding strategy aimed at simultaneously combining as many quality, disease resistance and agronomic traits as possible into an adapted genetic background using molecular markers. Mr Moody says Buff is a real alternative to wheat, providing WA growers with another rotational option. He says the variety has moderately good grain plumpness and hectolitre weight and, with good straw strength, should improve harvestability. Buff will be included in BA’s commercial malt and brewing trials during the next three years and, if successful, could potentially receive malt accreditation in March 2021. Seed is available for planting in 2019, but supplies are limited and it is recommended that interested growers place seed orders as soon as possible with local Seedclub members and/or resellers.